Yet the removal of the Court to Rio de Janeiro, a move unseen in colonial history, also implied a complete inversion of the geographies of knowledge these institutions relied upon, as suddenly there was no metropolis to send species and students to. 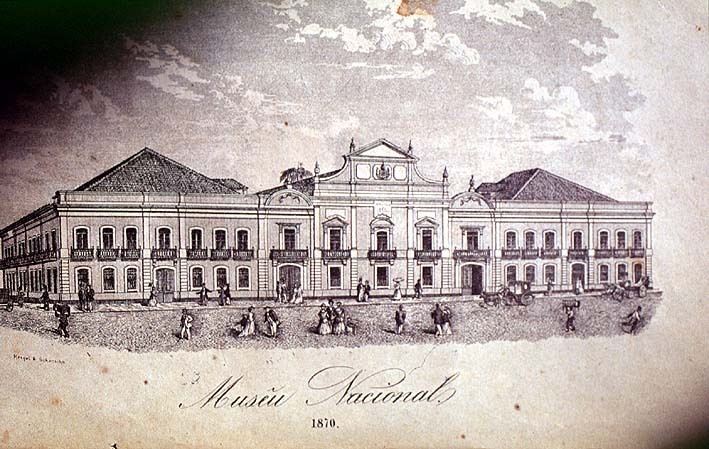 In 1817 the Empress Leopoldina, a Habsburg princess, arrived in Brazil with an entire team of Austrian scientists including the naturalists Karl Friedrich von Martius and Johann Baptist von Spix who, in addition to the foundation of a botanical garden which was annexed to the museum in 1819, immediately embarked on a three-year journey to the interior, published as Reise nach Brasilien in Munich in 1827. The museum in the following years operated as a mediator between foreign expeditionaries such as the Austrian prince Maximilian von Wied-Neuwied, the Russian baron Langsdorff, or the Frenchman Auguste de Saint-Hilaire, securing official protection in exchange for a modest share of the species they collected. Particularly after the declaration of Independence in 1822 and the appointment as minister to the Court of José Bonifácio de Andrada e Silva, an illuminated reformer and himself a trained mineralogist, government and museum administrators insistently claimed for the local institution a fair part of the items collected - and thus cut loose an eternal quarrel between foreign travellers and Brazilian museologists which would reach its peak when the Empire fell apart. 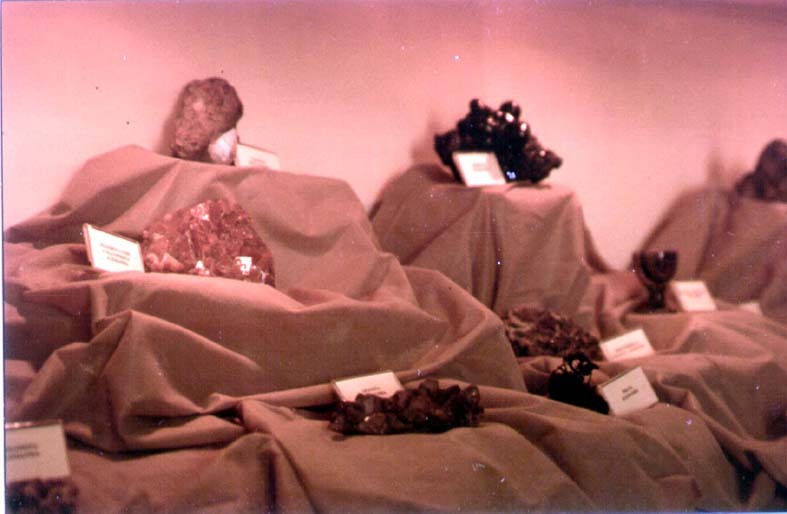 The museum's position in this implicit debate on territoriality was, however, weakened by the fact that well into the second half of the century, in order to acquire `complete´ and `classified´ collections, it had little choice but to buy them from foreign specialists, such as the Werner collection of minerals, purchased from the German geologist Pabst von Ohain in 1818 at 12.000 réis. As we shall see, then, one of the prime concerns of the museum was to reverse the colonial hierarchy implicit in these transactions, and convert Brazil from an object into a subject of knowledge. The task, of course, was hardly made any easier by the need to depict not only a nation but an empire - that is, not only to construct, by assembling a representative sample of vernacular materials, a differential and local identity, but, moreover, to position Brazil as a point of view onto the rest of the world. In its early years, by continuing to display not only Brazilian objects but also ones that represented the nature, population and history of Portugal's European, African and Asian possessions, the museum, despite its modest means, symbolically maintained the fiction of a Luso-Brazilian empire, still capable of competing with its European rivals. Along with other courtly institutions imported from Lisbon, such as the Supreme Tribunal of Justice, the Royal Treasury, the Mesa de Consciência e Ordem (or board of censors), the Academia de Guardas Marinas, the Escola de Cirurgia e Medicina, or the Imprensa Real, the museum was to give evidence of the survival of a stately body which in the Doldrums of the Atlantic had lost none of its capacity to manage and control a mass of archival knowledge and thus impose its power on a vast global space. After Independence, this singular focus would shift only slightly towards a more `national´ concern, for the museum remained, even then, a stage to theatricalize the European ancestral bonds and `imperial´ extension of Brazil, in contrast to the `scattered´ remains of the surrounding Spanish empire, `fractured´, as it was, into `anarchical´ and `barbarized´ republics. This courtly character of the institution, concerned with illustrious visitors rather than public education, accounts, perhaps, for its limited interest in addressing a wider audience: on 24 October 1821 a royal decree ordered opening the museum (although `watched by a few guards´ to maintain `convenient order´) on Thursdays from 10 am to 1 pm. (Castro Faria 1949: 4) A first account of the collections, published as late as 1830, comprises birds and insects, agricultural machinery, some species sent from Macao, hunting tools from the Aleutian isles, minerals, medals, indigenous objects and several Egyptian mummies, purchased by Pedro I from an Italian arts dealer. (Lopes 1998: 51; Azevedo 1877: 239) The first room of the exhibition contained reptiles, serpents, lizards, turtles,woods and teratological displays; room 2 showed mollusks, insects, and fish; room 3 held aborigenous mammals and monkeys; rooms 4 and 5 were dedicated to mineralogical displays and artisan crafts; room 7 held the bird collection; room 8 some indigenous artifacts from Pará and Matto Grosso; and room 8 displayed the Egyptian mummies and other antiquities, as well as numismatica and a few paintings. 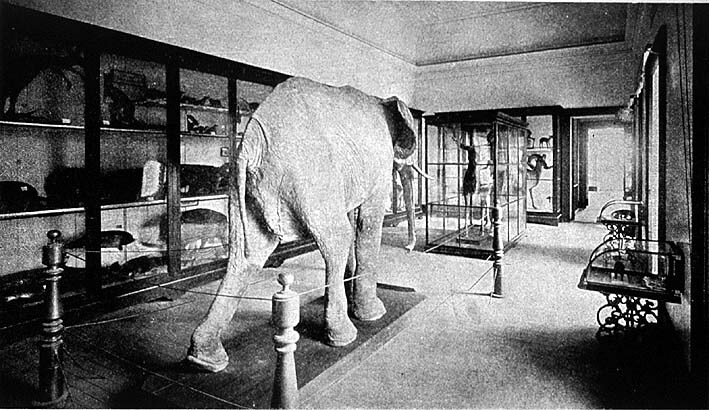 European naturalists who visited the institution in the first half of the century (including influential names such as Bougainville, Du Petit-Thouars, Ribeyrolles, Castelnau and Agassiz) were usually disappointed by its poor stock in indigenous specimens (but, of course, missed the point that the museum did not pretend to represent Brazil to the world, but rather the world from Brazil). As we shall see, by the late 1860s this image of an edifice crumbling under the weight of its sumptuous ornaments, not only had not changed at the museum, but seemed to have extended to imperial Brazil in general. However, the army, whose battalions were largely comprised by freed black slaves, also embodied a different (and a more modern, functional, and integrative) model of nationality, one that inevitably raised the issue of abolition, and with it those of citizenry and national identity, to the forefront of debates. It was in this context that the museum after 1870 underwent a major institutional and intellectual refurbishment. Science, says Netto, is a Brazilian thing: for here it is not anymore the virgin forest with its abundant wildlife which allegorizes national identity, but the esprit colonisateur in which pioneers and scientists are preparing to convert it into a material resource, a deposit of commodities; that is, to transform a museum into a warehouse. It was to this end, it seems, that the museum -which in the meantime had under the administration of the Ministry of Agriculture- attempted to symbolically purge `nature´ of its present indigenous inhabitants, by relocating ethnography to a separate institution of a decidedly archaeological character, a move all the more acute if we consider that it was during the final quarter of the century, too, that a secular politics of deportations, forced settlements, and gradual legal dispossession of communal lands from indigenous communities was entering its final stage. (Carneiro da Cunha 1998: 146) Museums of national history and ethnography, however, were not founded until the 1920s and 1950s, respectively, and the ethnographic collections soon became once again a central concern of the Museu Nacional´s administrators, eventually to be re-integrated as a full part of the exhibition following the issuing of new regulations in 1888. 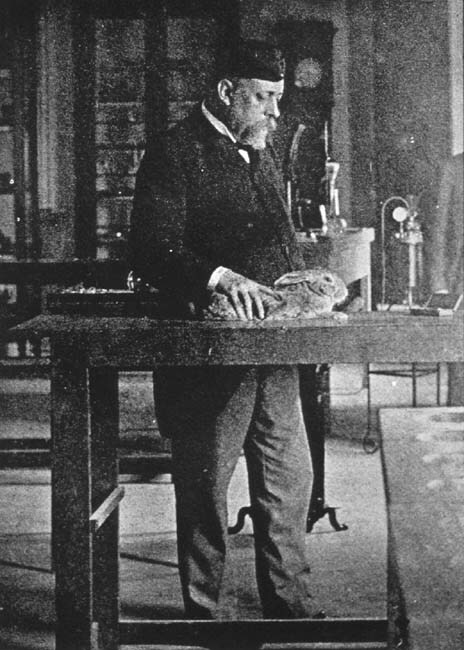 However, if the fourth section had traditionally been chaired by artists (since 1872, the post had formally been held by the acclaimed painter Pedro Américo de Figueiredo e Melo), under Netto´s administration science would reach out to the field of culture, submitting it to the gaze of the physiologist (a pioneering `Laboratory of Experimental Physiology´, under the direction of the French anatomist Louis Couty, had been established at the museum in 1876). 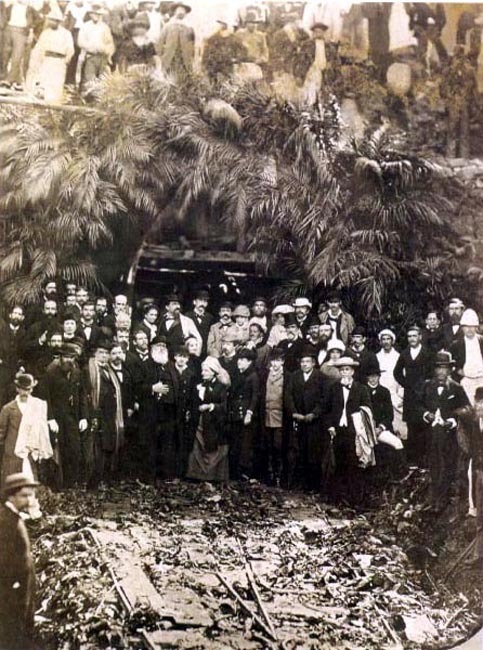 If the Regulamento of 1876 had still sought to divide the field of `anthropology´, as a subdivision along with zoology and paleontology, from `ethnography´ as a field of knowledge not belonging in the temple of scientific Brazil, during the 1880s the museum would pursue the more ambitious aim to re-locate ethnography and archaeology as subdivisions of an anthropological knowledge firmly based on evolutionist (and sometimes, moreover, polygenistic) concepts of `race´. If at previous stages of imperial culture the imagery of romantic indianism had, often though not always, cast a veil over the reality of black slavery as the very backbone of Brazilian economy (Bosi 1994: 91-160; Treece 1986), the `scientific´ re-invention of indigenous culture allowed the museum to intervene obliquely in the debates on citizenship and miscegenation cut loose by abolitionist agitation. On occasions such as the spectacular Exposição Antropológica of 1882 or the Pavillon de l´Amazone, an exhibition at the Paris World's Fair of 1889 curated by Ladislau Netto, this disenchantment of the literary Indian from a physiological and utilitarian perspective allowed for an indirect re-appraisal of blacks´ contribution to Brazilian nationality, even though Afro-Brazilian culture remains absent from the museum until this day and, by the end of the nineteenth century, rather than as an object of `anthropology´, had been addressed rather from the point of view of `legal medicine´ and `mass psychology´. At the museum, meanwhile, African objects continued to be displayed, along with those of the `cannibals´ of New Zealand and the `barbarians´ of Kamchatka, the Aleutians and the Sandwich isles, as icons of a remote and savage world, a global fringe of `primitive peoples´ opposed to the `collecting nations´ amongst which Brazil included itself. Even though the institution's future director Lacerda would eventually become the chief ideologue of branqueamento, a particular brand of Darwinian nationalism claiming a bright future for Brazil through racial mixture and genetic selection, the museum, then, during the final decades of the Empire rather served as a device of conserving, or re-enforcing through `scientific evidence´, the racial barriers abolitionism threatened to crush. (Schwarcz 1993: 65) Just as blacks, in the ethnographic displays, were symbolically re-located and essentialized in an eternally `savage´ Africa, anthropology exchanged the heroic Tupí Indian of romantic literature for the savage Botocudo, a mentally and physically inferior species of humanity immobilized in an uncannily preserved, prehistorical America. As we shall see, however, it was the exhibition itself which, in a Borgesian inversion of the metonymic relation between the museum and `nature´, produced a totalizing image of savagery which was then projected, as a hologram, into the depths of the rainforest. 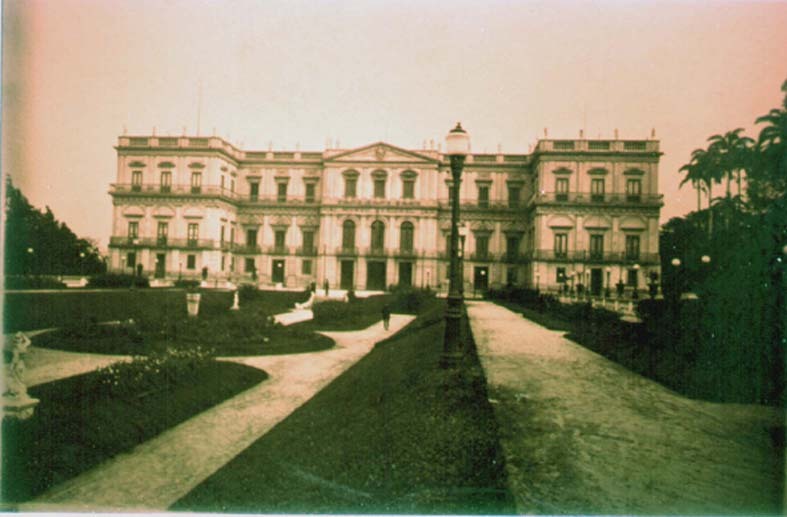 On the aftermath of the military coup of 15 November 1889, Netto being away representing the Empire at the Paris World's Fair and the Congress of Americanists at Berlin, João Baptista de Lacerda, as acting director of the museum, paid a visit to the new minister of foreign affairs, the Republican leader Quintino Bocaiuva who suggested the removal of the museum to the vacated imperial palace at Quinta de Boa Vista. (Lacerda 1906: 64) The transfer of the collections was only completed in 1892, due to the occupation of the central patio by the Congresso Constituinte, which was to deliberate over a new constitution: in a strange overlap of architectural, scientific and juridical fictions of the state, then, the attempts to re-design Brazil's legal base and its scientific image, co-existed for two years within the walls of a baroque fantasy of tropical monarchy. The new beginning, however, proved difficult. Netto had hardly returned to Rio when the brewing struggles between the museum and its foreign correspondents, scientific `seekers´ who had chosen Brazil as their platform to gain an international reputation, (Pyenson 1985) burst into open conflict. 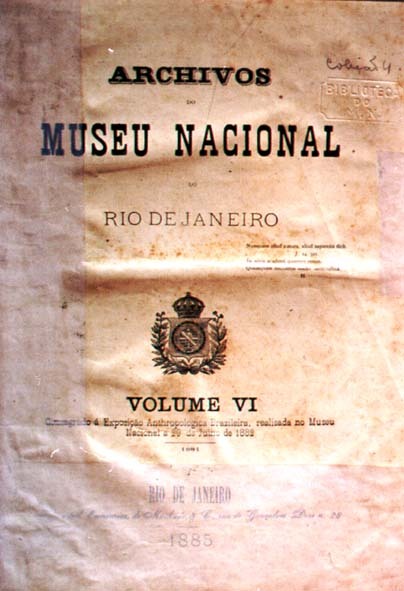 The new museum rules, which only allowed Brazilian citizens to apply for new posts, were regarded as discriminatory by the foreign naturalists, but their fury broke loose when, in 1891, Netto demanded daily presence of all staff at the institution (most of the `travelling naturalists´ lived far away from Rio, many of them in the German settlements of the southern provinces). In 1891, the foreign employees Fritz Müller, Hermann von Ihering, Wilhelm Schwacke, Orville Derby and Emil Goeldi, as well as Lacerda himself, resigned in protest from their posts. (Lopes 1998: 197) In a somewhat farcical way, Lacerda´s explanation in 1906 adds a political dimension to the conflict, which he attributes to Netto´s dictatorial character: "It does not offend his memory, worthy of respect in many ways, to say that in the intimacy of his consciousness he paraphrased Louis XIV´s famous dictum: the Museum am I. "(Lacerda 1906: 46) Like Floriano Peixoto´s dictatorship -which unsuccessfully tried to reconstruct a central, personalized political power-, Lacerda seems to imply, Netto´s autocratic administration attempted to re-centralize and nationalize scientific activity in a way that led the museum to "the brink of anarchy". Significantly, then, Lacerda once again suggests a parallel between the museum's fate and that of the nation in general, and one in which he himself, who had been appointed director in 1895, after a brief interlude under Domingos Freitas following the retirement of Netto in 1893, comes to occupy the position of a `consolidator´. 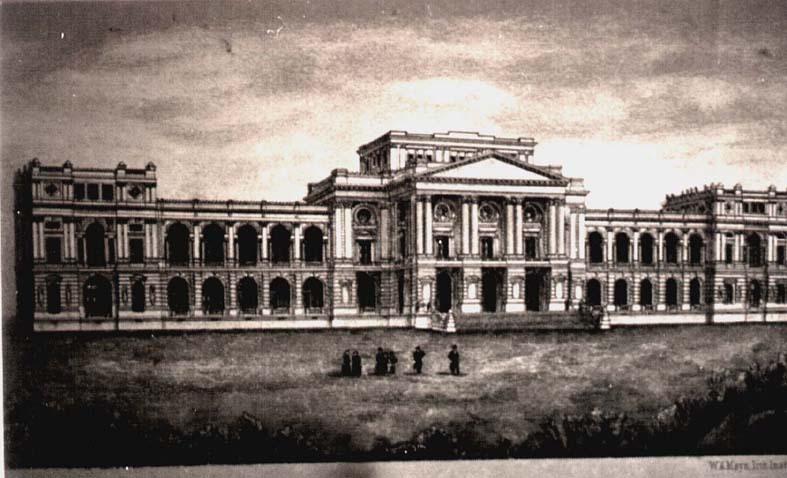 However, just as that of the central government, the authority of the museum as the central institution of scientific research and display had been challenged by the foundation of provincial museums in Belém (1871), Curitiba (1876) and São Paulo (1893), which drew heavily on the dissident naturalists of the Museu Nacional to staff their departments and build independent relations with European and North American centres of science. 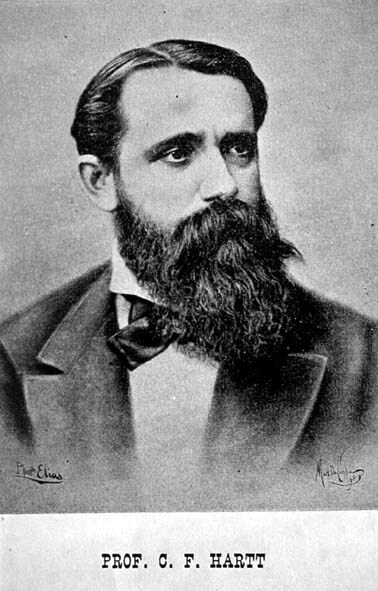 The Swiss zoologist Emil August Goeldi in 1894 assumed the direction of the Museu Paraense, and his former colleague at the Museu Nacional, the German Hermann von Ihering, was appointed director of the Museu Paulista in the same year. Both went on to design highly specialized institutions focusing on local zoology, botany and anthropology, in a symbolic contest with the Museu Nacional over the richness and exclusivity of the natural resources they explored and displayed, as well as over the most `advanced´ scientific method, thus echoing inter-provincial competition for foreign investment and immigration, and hegemony within the nation-state. Museu Paulista; Meyn, W. A. Let us, then, take a walk through the collections to judge for ourselves and to see how, at the different moments observed so far, scientific evidence was displayed as, at the same time, an evidence of the museum's scientificity. As I have tried to suggest, the question of positing indigenous objects within this narrative marks the critical point in an image of a `naturalised´ national identity, the point where issues of race, of scientificity, and of history and memory, are symbolically negotiated. Let us, then, concentrate here on the ways in which our guides take us through the fourth section, the one of `archaeology, ethnography and numismatics´, and through the `Anthropological Exhibition´ of 1882. But before joining the two scientists, we will follow Moreira de Azevedo, author of O Rio de Janeiro: sua história, monumentos, homens notáveis, usos e curiosidades (1877), through his chapter on the museum. For, although Moreira´s account of his visit post-dates the guide published by Ladislau Netto in 1870, his `touristic´ rather than `scientific´ perspective allows us a gaze at the museum previous to the introduction of scientific rigor and national focus, as a `spectacular´ collection of `marvels´ whose scope is decidedly `imperial´. In the same way as his hastened sentences almost devoid of punctuation race across the page, Moreira´s gaze runs in bewilderment from one `curious object´ to the next, altogether ignoring the contexts and sets of relations proposed by the order of display. Indigenous objects are only singled out when they can be marked -in the same way as the elephant's skull or the South Sea king's cape of feathers- as `strange´ and `extraordinary´: indeed, it is their `singularity´ rather than their `representativity´ which attracts the chronicler's eye, cutting through the metonymical world-image proposed by the museum to discover a spectacle, a potentially unlimited cornucopia of singular curiosities. Rather than to classify the objects within the naturalist's grid of species and eras, this gaze attempts a kind of material philology which reconstructs every single object's discovery and its chain of previous owners, resulting in a kaleidoscope of minuscule narratives of adventure. Together these compose a historical and dynastic image of power and wealth. Netto´s reforms of the 1870´s were concerned, precisely, with the construction of typological series in order to contextualize and inscribe Moreira´s `wonders of the world´ in a planetary order based on the theory of evolutionary transformism. Netto´s own guide from 1870, the year he took office as interim director, can thus be read as a prospective re-evaluation of the exhibition and its contents, one that is still caught half-way between the Empire's cultural myths and the utilitarian visions of the emerging new elites. Again, the fourth section would provide the space to articulate the two competing images of Brazil, and to reconcile nature with culture. However, the juxtaposition of both museum aesthetics becomes clear as Netto begins by quoting the Pequeno panorama do Rio de Janeiro, an earlier text by Moreira de Azevedo containing a description of the museum edifice on Campo de Santana: the flaneur describes the outward appearance of the museum and locates it in the urban context, before the scientist takes us into the showrooms. His pace is not the tourist's excited ramble from one spectacular object to the next, but a methodical description of one showcase after another, a text whose subunits mimic those of the exhibition itself and explain the reasons of their composition. Numismatica, then, seem to embody the very model of metonymical representation of larger totalities Netto´s exhibition is based upon: the flow of capital, placed in sharp contrast to the `primitive´ materials in the surrounding showcases, devoid of any exchange-value (a view shared, ironically enough, by the burglars who broke into the museum on several occasions, and dedicated themselves exclusively to the numismatic collection). However, just as the coins secured from the circuit of trade had transmogrified into prescious remnants from past times, indigenous crafts acquired an aura -and thus, value-precisely as representing a world in extinction. 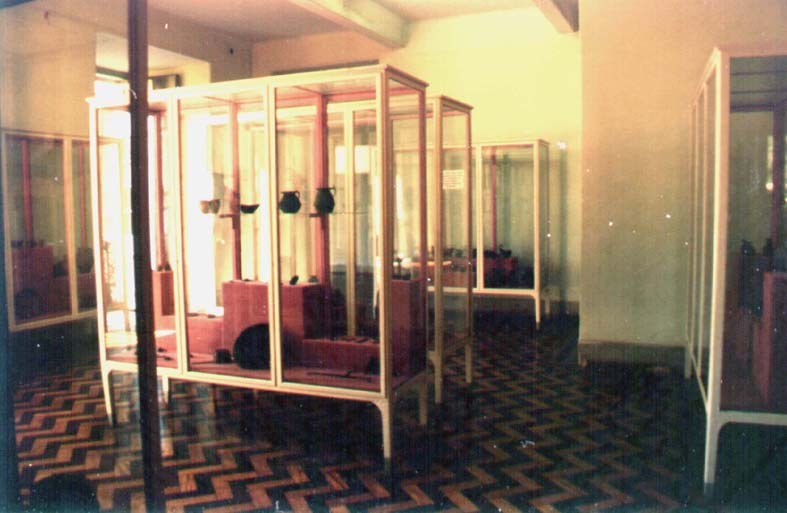 Once again, within this `exhibitionary complex´ of the Empire´s final decade, the task entrusted onto the Anthropological Exhibition was to produce what we may call, with Maria Inez Turazzi, a `stereoscopic image´ (Turazzi 1995: 17): for, not only was it to produce a renovated, `scientific´ vision of the indigenous communities, one which would strip them of most of their former, legendary and heroic, qualities and instead portray them as an inferior level of humanity; but this very mode of display also formed part of the image so as to demonstrate, in contrast, the `advanced´ character of modern Brazilian science and civilization. The Exhibition, parts of which Netto was to expose again seven years later at Gautier´s `Exposition de l´Habitation Humaine´ on the Paris World´s Fair, thus paved the way from an archaeological concern with the `origins of Brazilian man´ towards a physiological interest in the different degrees of `savagery´, in line with what would soon become the museum´s new role in assessing the `racial qualities´ of the population. 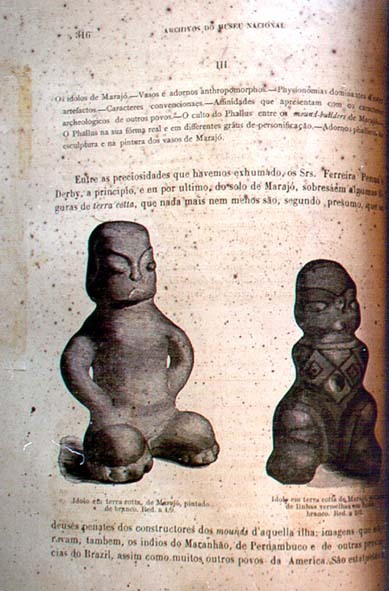 (Schwarcz 1993: 71-75) In 1881, Netto had undertaken an expedition to the coast of Pará from where he returned not only with a large collection of ancient pottery, but also with ritual objects as well as skeletons and skulls sacked from Amanajé tombs on the upper Rio Capim. 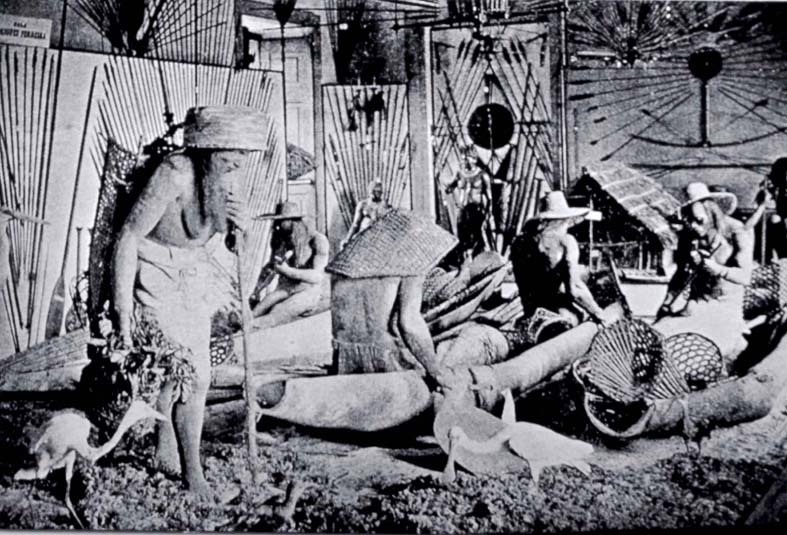 (Netto 1889: 55-89) The Exhibition also featured three Cherente Indians and a family of Botocudos brought from Goiaz and Espirito Santo, who were put on show in a simulated everyday-life environment. 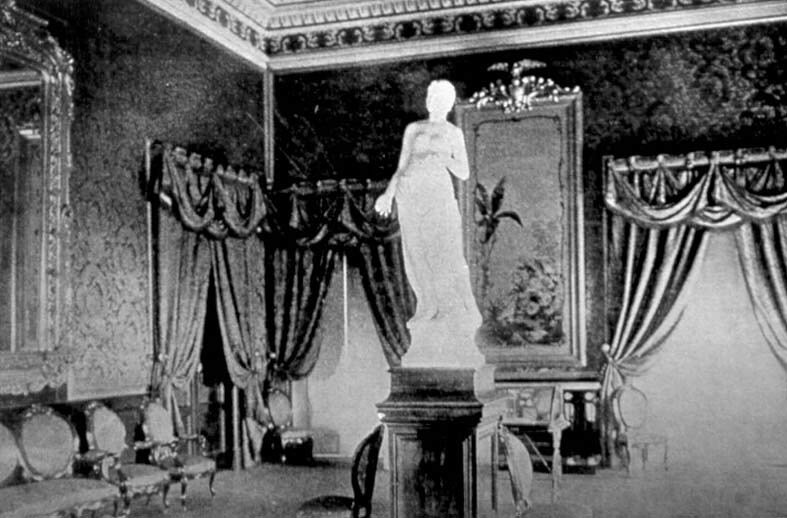 In addition to their living bodies, plaster casts were used as `life groups´ in other areas of the Exhibition, and portraits by Decio Villares and Aurélio de Figueiredo, two painters soon to become the foremost exponents of the positivist and historicist school, depicted them as representants of `physiological types´. The use of typological tables of tools and crafts in order to `facilitate comparison´ between more and less advanced tribes, indicates that the museum had exchanged Netto´s former `degenerationist´ ideas on indigenous culture for a linear and evolutionist narrative on human development. Typological display principles were being theorized at exactly that time by Pitt-Rivers at London´s Bethnal Green museum, whose immediate aim consisted in convincing a working-class audience all too easily seduced by revolutionary agitation, that -in Pitt-Rivers´ famous phrase- `nature makes no jump´ (Bennett 1995: 198-200). Anatomical inferiority, then, rather than expulsion from communal lands, systematic torture, famine and diseases, the collateral effects of peripheral capitalism on the height of the Amazonian rubber boom, (Taussig 1987: 3-135) according to Lacerda accounted for the unusual dimensions, even for Brazilian standards, of decimations among the indigenous population since the proclamation of the republic. Once again, the museum had managed to transform history into nature: but then, nature had now ceased to be an empire, a harmonious and stable order, and had turned into the Darwinian republic of predators and capitals. Azevedo, Moreira de. 1877. O Rio de Janeiro: sua história, monumentos, homens notáveis, usos e curiosidades. Rio de Janeiro: Garnier. Azevedo, Fernando de (ed.) 1994. As ciências no Brasil. Rio de Janeiro: Ed. UFRJ. Bal, Mieke. 1992. "Telling, Showing, Showing Off", Critical Inquiry 18, 3: 556-94. Bennett 1995. The Birth of the Museum. History, Theory, Politics. London: Routledge. Bosi, Alfredo. 1994. História concisa da literatura brasileira. São Paulo: Cultrix. Carneiro da Cunha, Manuela. 1998. "Política indigenista no século XIX", in: id. (ed. ), História dos Indios no Brasil, São Paulo, Companhia das Letras: 133-54. Castro Faria, Luiz de. 1949. "As exposições de antropologia e arqueologia do Museu Nacional", Publicações avulsas do Museu Nacional 4, Rio de Janeiro. Castro Faria, Luiz de. 1993. Antropologia: espetáculo e excelência. Rio de Janeiro: Ed. UFRJ. Chalhoub, Sydney. 1996. Cidade febril. Cortiços e epidemias na corte imperial. São Paulo: Companhia das Letras. Clifford, James. 1988. The Predicament of Culture. Twentieth-Century Ethnography, Literature, and Art. Cambridge, Mass. : Harvard UP. Fabian, Johannes. 1983. Time and the Other. How Anthropology makes its Object. New York: Columbia UP. Hinsley, Curtis M. 1991. "The World as Marketplace: Commodification of the Exotic at the World´s Columbian Exposition, Chicago, 1893", in: Ivan Karp, Stephen D. Lavine (eds. ), Exhibiting Cultures, The Poetics and Politics of Museum Display. Washington, London, Smithsonian, 1991: 343-365. Kirshenblatt-Gimblett, Barbara. 1991. "Objects of Ethnography", in: Ivan Karp, Stephen D. Lavine (eds. ), Exhibiting Cultures, The Poetics and Politics of Museum Display. Washington, London, Smithsonian, 1991: 386-443. 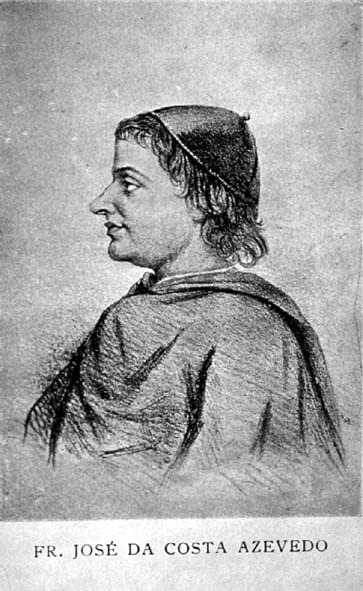 Ihering, Hermann von. 1895. "História do monumento do Ypiranga e do Museu Paulista", Revista do Museu Paulista 1: 19-24. Lacerda, João Baptista de (& Rodrigues Peixoto). 1876. "Contribuições para o estudo anthropologico das raças indigenas do Brazil", Archivos do Museu Nacional 1: 47-83. Lacerda, João Baptista de. 1896. "Prefácio", Archivos do Museu Nacional 19-20. Lacerda, João Baptista de. 1906. Fastos do Museu Nacional. Recordações históricas e scientíficas fundadas em documentos authenticos e informações verídicas. Rio de Janeiro: Imprensa Nacional. Lobo, Bruno (ed.) 1923. O Museu Nacional de História Natural. Rio de Janeiro : Museu Nacional (Archivos do Museu Nacional 22, 1923). Lopes, Maria Margaret. 1996. "Viajando pelo mundo dos museus: diferentes olhares no processo de institucionalização das Ciências Naturais nos museus brasileiros", Imaginário 3: 59-78. Lopes, Maria Margaret. 1998. O Brasil descobre a pesquisa científica. As ciências naturais e os museus. São Paulo: Hucitec. Murilo de Carvalho, José. 1999. Pontos e bordados. Escritos de história e política. Belo Horizonte : Ed. UFMG. Magalhães, Couto de. 1876. O selvagem. Rio de Janeiro: Imprensa Nacional. Netto, Ladislau. 1870. Investigações históricas e científicas sobre o Museu Imperial e Nacional, acompanhadas de uma breve notícia das suas colecções e publicadas por ordem do Ministério de Agricultura. Rio de Janeiro: Instituto Philomatico. Netto, Ladislau. 1889. Le Muséum National de Rio de Janeiro et son influence sur les sciences naturelles du Brésil. Paris : Charles Delagrave. Pyenson, Lewis. 1985. Culture, Imperialism, and the Exact Sciences. German Science Expansion Overseas, 1900-1930. Zürich, New York: Peter Lang. Romero, Sylvio. 1888. Ethnographia brazileira. Estudos críticos sobre Couto de Magalhães, Barbosa Rodrigues, Theophilo Braga e Ladislau Netto. Rio de Janeiro : Livraria Clássica de Alves & Cia. Salles, Ricardo. 1996. Nostalgia imperial. A formação da identidade nacional no Brasil do Segundo Reinado. Rio de Janeiro: Topbooks. Schwarcz, Lilia Moritz. 1993. O espetáculo das raças. Cientistas, instituições e questão racial no Brasil, 1870-1930. São Paulo: Companhia das Letras. Schwarcz, Lilia Moritz. 1998. As barbas do Imperador. 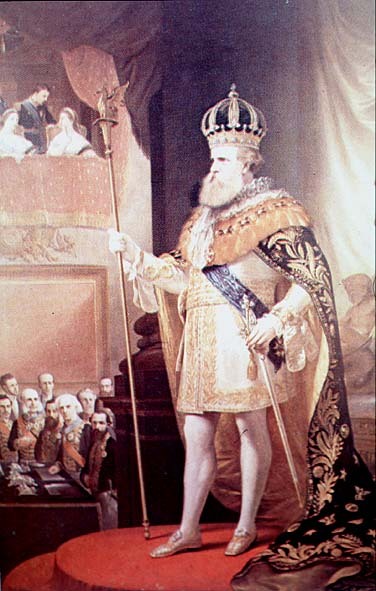 D. Pedro II, um monarca nos trópicos. São Paulo: Companhia das Letras. Sevcenko, Nicolau. 1983. Literatura como missão. Tensões sociais e criação cultural na Primeira República. São Paulo: Brasiliense. 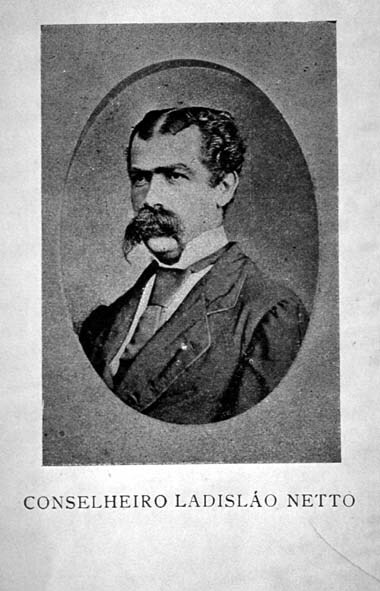 Souza Lima, Antonio Carlos de. 1989. Os museus de história natural e a construção do indigenismo. Rio de Janeiro : Museu Nacional/UFRJ. Süssekind, Flora. 1990. O Brasil não è longe daqui. O narrador, a viagem. São Paulo: Companhia das Letras. Taussig, Michael. 1987. Shamanism, Colonialism, and the Wild Man. A Study in Terror and Healing. Chicago: Chicago UP. Treece, David. 1986. "Victims, Alliies, Rebels: Towards a New History of Nineteenth-Century Indianism in Brazil", Portuguese Studies 2: 56-98. Turazzi, Maria Inez. 1995. Poses e trejeitos. A fotografia e as exposições na era do espetáculo (1839-1889). Rio de Janeiro: Funarte / Rocco. Veríssimo, José. 1890. Estudos brazileiros (1877-1885). Belém do Pará: Tavares Cardoso & Cia.